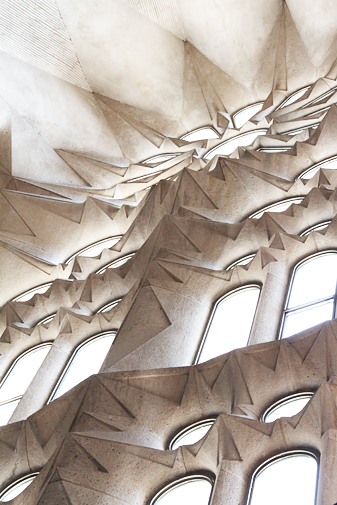 It’s hard to live in Barcelona without falling, at least a little, for the architect, Antoni Gaudí. The first time I saw la Sagrada Familia, it didn’t have a roof. The center of the nave was filled with scaffolding that rose and rose and became its own sort of ceiling, from which showers of sparks rained down as the workers hammered and filed and cut and constructed. The floor was littered with pieces of mosaic that were tagged and waiting to be assembled somewhere in the arches above. Three years later, I had the chance to visit again. Though it is still under construction, the interior is enclosed and, I think, mostly complete. 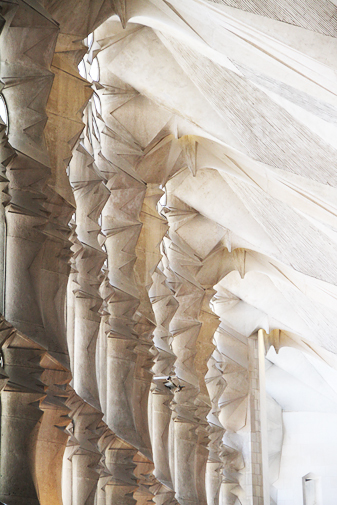 Gaudi’s vision is astounding and beautiful. There are few interior spaces so large, so filled with the soft brilliance of natural light. Spaces so open to whatever you hold sacred. 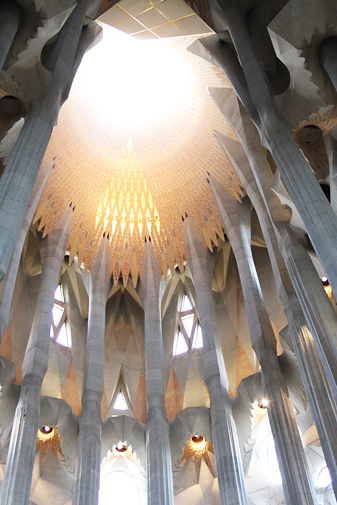 This entry was posted in Observational, Photography and tagged Architecture, Barcelona, Basilica, Church, Gaudi, Modernism, nave, Sacred Family, Sagrada Familia, Spain on September 16, 2013 by damienpitter.